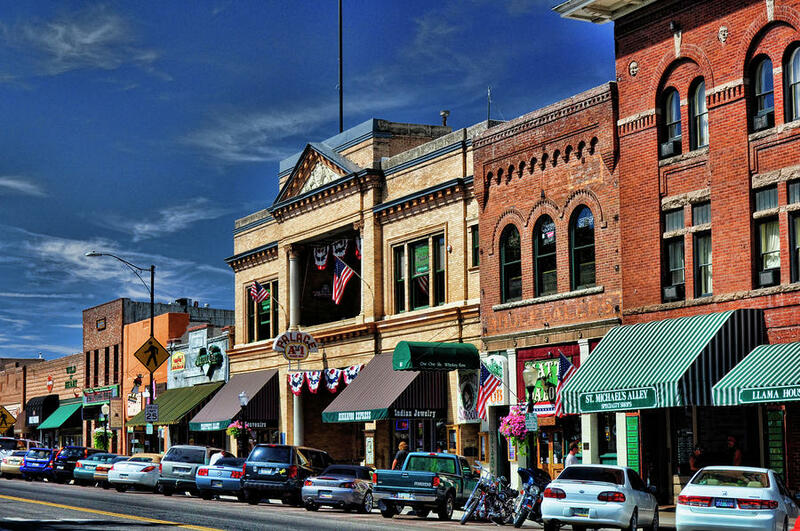 For many of our guests it’s your first time visiting the Prescott area. With that in mind, we’ve compiled a list of local restaurants. Prescott has some great dining experiences to offer, and if you’re in the area for an extended visit here at Point of Rocks you’ve got a wide selection when it comes to dining opportunities! Enjoy! To view Top Destinations around Prescott, click here; “Top Destinations Page” . Great views of Prescott. Breakfast and Lunch. Monday – Sunday: 11 a.m.-11 p.m.
Prescott Brewing Company is Arizona’s Most Awarded Brewery. Established in 1994 by John and Roxane Nielsen, we are locally-owned and operated. Located in the Heart of Downtown Prescott, directly across from the Courthouse Square on Gurley Street. Breakfast/Lunch: Thurs – Sunday: 8 a.m.-2 p.m, Dinner: 4 p.m. – 8 p.m.
A charming German/American Cafe located in the Prescott National Forest, on the shores of Lynx Lake. Offering both German and American cuisine, they are famous for their Thursday Night Prime Rib, Friday Night Fish Fry and Saturday Night German specialties such as Sauerbraten, Goulash, Jagar Schnitzel, Spatzle and so much more. Live weekend musical entertainment. We enjoy their breakfast and the great lake view. Only 9 mins from our Campground. Monday – Sunday: 11 a.m.-10 p.m. Housed in an 1890 mercantile building. American grill dishes out upscale steak & seafood. Monday – Sunday: 11 a.m.-9:30 p.m. Oldest frontier saloon (and restaurant) in AZ. stepping back in time to the 1920’s. Also, ice cream and gelato shop. They have gluten free buns for burgers on request. Monday – Sunday: 7 a.m.-2:30 p.m.
Casual, organic, locally grown produce, gluten free options. Unique and delicious menu. Monday – Sunday: 6 a.m.-2 p.m.
Good Breakfast burritos. A bit of a hole-in-the-wall. Hours; 11 a.m. – 9 p.m.
Local Mexican chain serving classic dishes & margaritas in a casual, traditional setting. Hours: 11:00 a.m. – 9 p.m. Neighborhood pizza parlor, has an option for gluten free pizza. Hours: 11:00 a.m. – 8 p.m. Regional counter-serve pizza chain offering gourmet pies, plus pre-made ones to cook at home. Take-out/delivery chain offering classic & specialty pizzas, wings & breadsticks, plus desserts. in historic building in downtown near courthouse square. Live music and roof top patio. European style green café. Hours: 6 a.m. – 8 p.m.
Monday – Sunday: 11 a.m. – 9 p.m.
Arturo’s Mexican Restaurant has been family owned and operated since 1995 and is a local favorite in the Prescott and Tri-city area! They offer fast and friendly service, daily lunch and dinner specials, Margarita Mondays, & Taco Tuesdays!! Arturo’s chips and salsa are known to be the best, this side of the border! Casual, family-owned restaurant doling out familiar Mexican dishes plus beer & margaritas. Come join us for a Lunch or Dinner on the patio. Located in historic downtown Prescott, our comfortable and charming space is the perfect place to grab lunch, enjoy a pizza and a bottle of wine for dinner or meet a friend for a pint of beer. Rustic Pie Company is a family owned, local Prescott cafe with made from scratch goodness! We use only the finest and freshest ingredients to create Pies, Soups, Chili, Sandwiches, Quiche, Pot Pies, Cinnamon Rolls, Cookies, Muffins, Cobbler & More that will fill your belly and warm your heart. Come and visit – your taste buds will thank you! Family-owned American standby with an Old West theme offering hearty, homestyle meals & happy hours. Pizza & Southern Italian fare in a rustic setup with exposed-brick walls..
Monday – Sunday: 7 a.m. – 4 p.m.
Rustic eatery serving old-school American comfort mains & desserts, including breakfast. Wednesday – Sunday: 11 a.m. – 9 p.m.
At FARM Provisions our vision is to create a true farm to table experience in an inviting family oriented atmosphere.